Salman Khan and Katrina Kaif’s Tiger Zinda Hai is going strong at the box office. This Ali Abbas Zafar film has definitely cut down the box office starvation. It has surpassed Varun Dhawan’s Judwaa 2 in the list of profitable films of 2017. The film has been made on a grand budget of 150 crores and it has been doing great worldwide. The film has collected a whopping amount of 318.86 crores till now. It has earned 168.86 crores as return on investment which takes its profit percentage to 112.57%. Tiger Zinda Hai crossed the profit percentage of Judwaa 2 in the list of profitable films of 2017. Though, Varun Dhawan’s Judwaa 2 was made on a budget of 65 crores and it ended up collecting 138 crores at the box office. So, if we see the calculations, Judwaa 2 was the profitable film for the makers. Whereas Salman Khan’s Tiger Zinda Hai is made on a high budget and also because of its high octane action, the film has successfully managed to grab many eyeballs. Salman Khan is the only Bollywood actor who has three films in the 300 crore club. And same for Ali Abbas Zafar, he is the only director to have 2 films (Tiger Zinda Hai and Sultan) in this club. Tiger Zinda Hai is a sequel to Kabir Khan’s film Ek Tha Tiger. The film was a hit then in 2012 too. If reports are to be believed, the third part will be released soon. 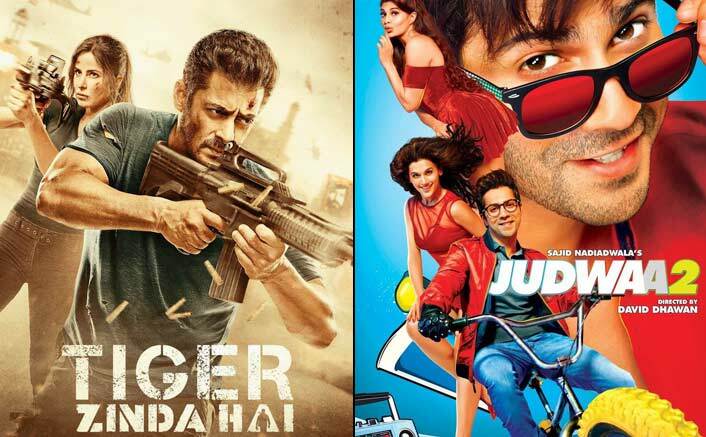 The post Tiger Zinda Hai Surpasses Varun Dhawan’s Judwaa 2 In The List Of Profitable Films Of 2017 appeared first on Koimoi. Sanju Box Office: Surpasses This Major Movie In The List Of Most Profitable Films Of 2018! Salman Khan To Star In Ek Tha Tiger’s Sequel – ‘Tiger Zinda Hai’? REVEALED: Salman Khan and Katrina Kaif’s Tiger Zinda Hai is budgeted at 150 crores! Tiger Zinda Hai Day 1 UAE, Australia & New Zealand Update: MAMMOTH! Tiger Zinda Hai Day 1 Collections Early Trends: A Record Opening Start!